why stick to CR2032 when you can have a CR200320!! 2018 Hackaday Prize Achievement: Your entry is the most "What!?" -- You've earned this. This project was created on 01/05/2018 and last updated a year ago. Inspired to participate in the Hackaday coin cell challenge. We met to brainstorm & barbecue as usual after studying. After a while of researching available coin cells at our favourite online electronics distributor and having a few of the special local brewery&apos;s beers it seemed clear that the standard coin cell wouldn&apos;t cut it. 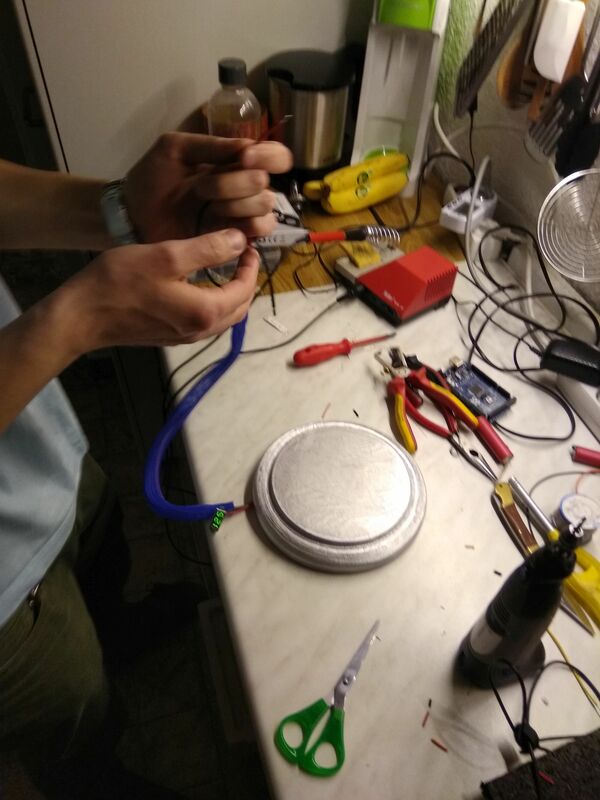 We needed something with a lot of power and a little boost converter and capacitor combination would not be enough. So we started to think about building our own coin cell. Hopefully we&apos;ll get to finish our 3D printed parts in time. 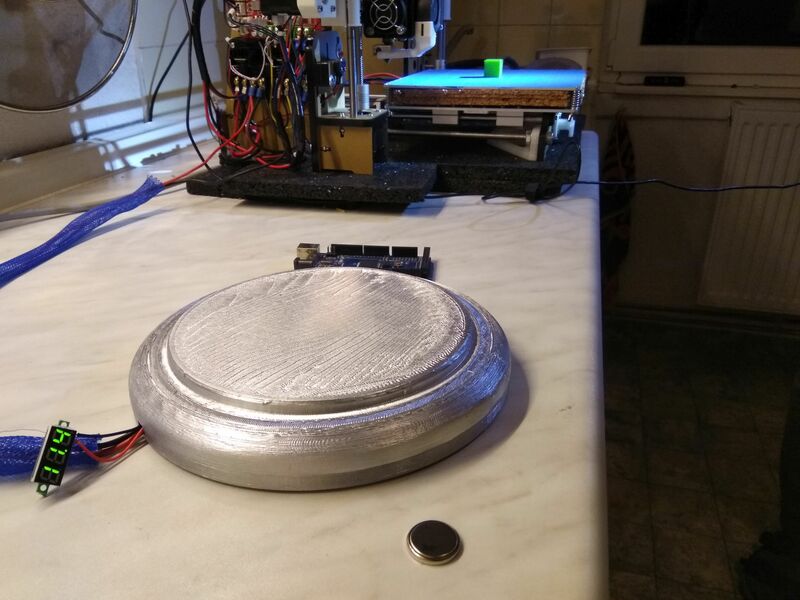 While deciding the output voltage of our giant coin cell, we decided to power the 3d printer with it. Works perfectly! Since this would not be a hack without an arduino, we included one for scale (also banana for scale). Combining 3 cells added up to about 12.5V with no load. The voltage drop was quite significant while preheating the extruder and also at the end of the print it dropped to 9.5 V. After printing it came back to 11.2 V but maybe combining 4 cells in series would have been a better solution with a starting 16 V.
This is no science, but just some thoughts on what to do next time because the cells were already half dead, scrapped from an old thinkpad T60 or T400 i think. So it is possible that this could work better with shiny new batteries. It&apos;s 30 minutes until the coin cell challenge ends and we managed to bodge everything together. The cell even got painted an hour ago to look more like a "real" coin cell. The afternoon was used to print some internal parts. After that the case was spraypainted with a silver color since the ordered filament didn&apos;t arrive on time. The pictures show our great work soldering and drilling a hole for the connection to the 3D printer. There were a few nice ideas left for a more polished version of this, but it was a lot of fun to build. At first the goals were set high for our 3D model, but since one month passed faster than we would like to admit, we had to leave some features for version 2; really sticking to the agile programming style: if the updater works, ship it. 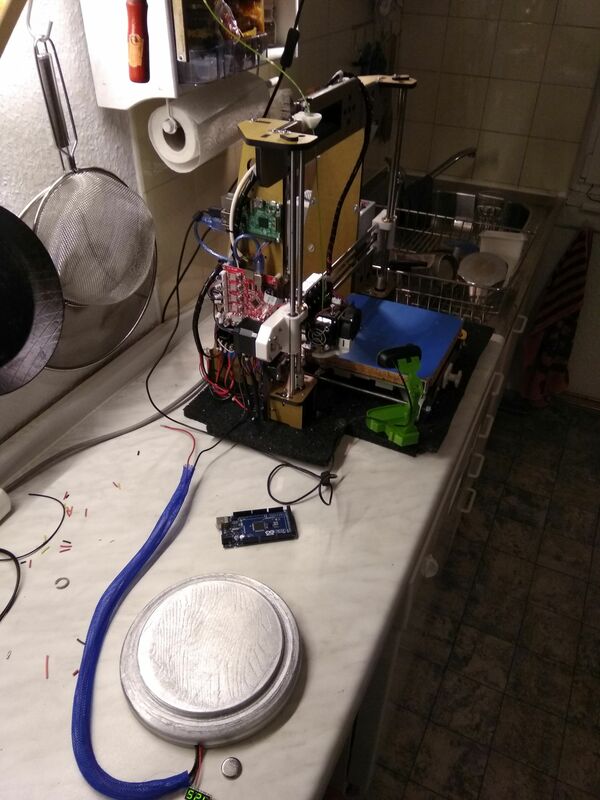 Now the 3d printer is done with our biggest PLA parts, so I uploaded a first picture. The next step will be to make a true coin cell out of this. Time is short, but if we are doing our best effort to hack everything together just right to meet the deadline. The CAD files can be downloaded from the autodesk fusion360 site and printed. Probably in the next few weeks we&apos;ll include battery holders in the bottom part of the build. Current build includes these found on thingyverse (link and mention will be added soon). The battery&apos;s were added 3 parallel packs of 3 in series. Wired together with some scrapped cabling from an old PC power supply. There really is no special secret to this, the entire project was put together in a really short time frame and just for fun. If you really want to build this, I would suggest including at least some circuitry to protect the cells from discharching too much and probably also added to the monitoring part, a charging circuit. Please mark these in the future as "humor" in the title. 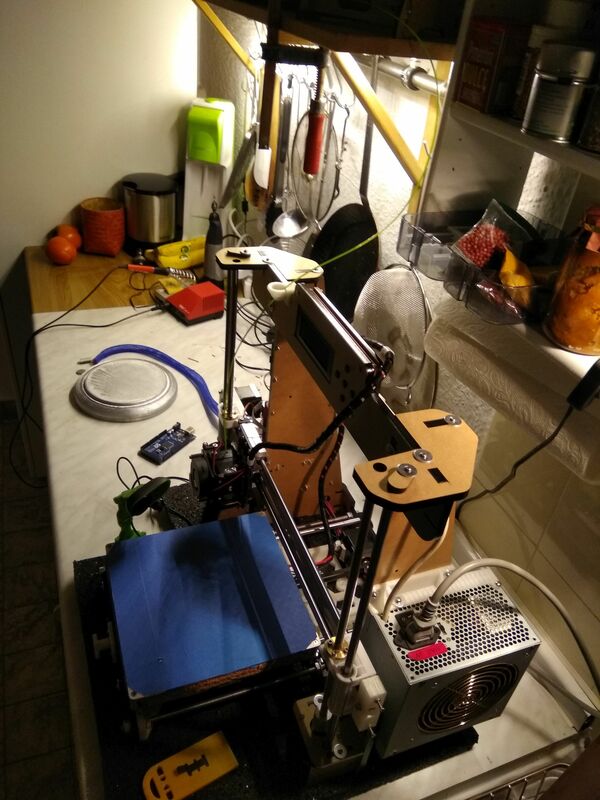 I found one here: https://hackaday.io/project/29478 It&apos;s really cool, check it out! Please mark these comments in the future as "humor". Next version, use the coin / discharging batteries as a heated bed. Pee Power!! , Seriously you can charge your phone, tablet and laptop from pee!. It is avail anywhere animals or humans are. You are about to report the project "MegaCoinCell", please tell us the reason.